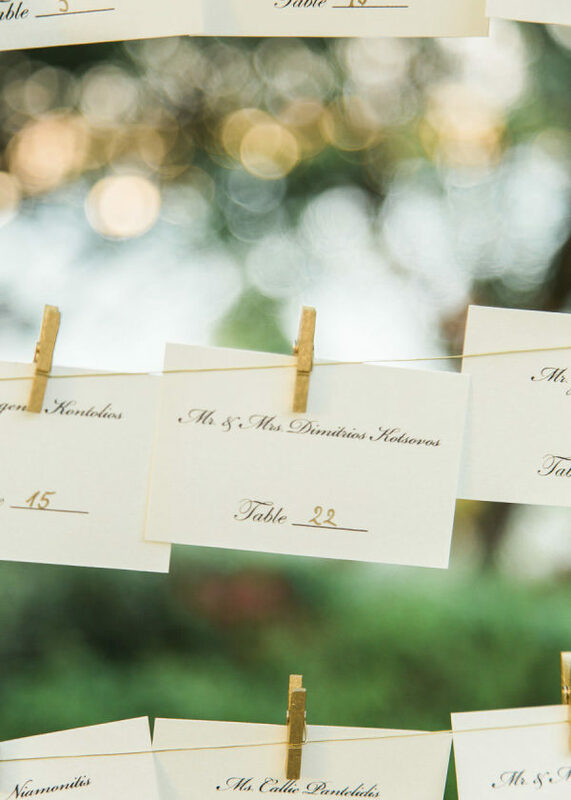 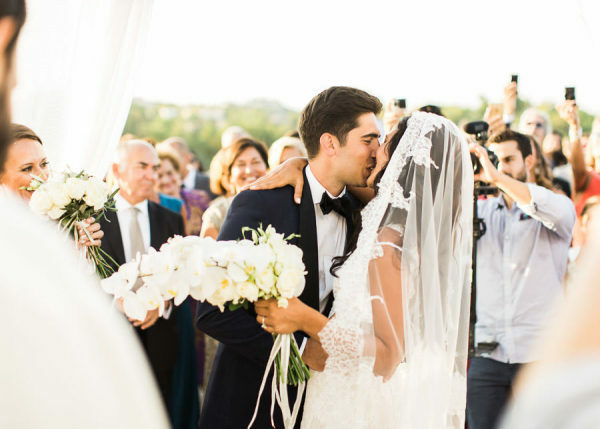 This dreamy destination wedding is giving us the best tropical vibes! 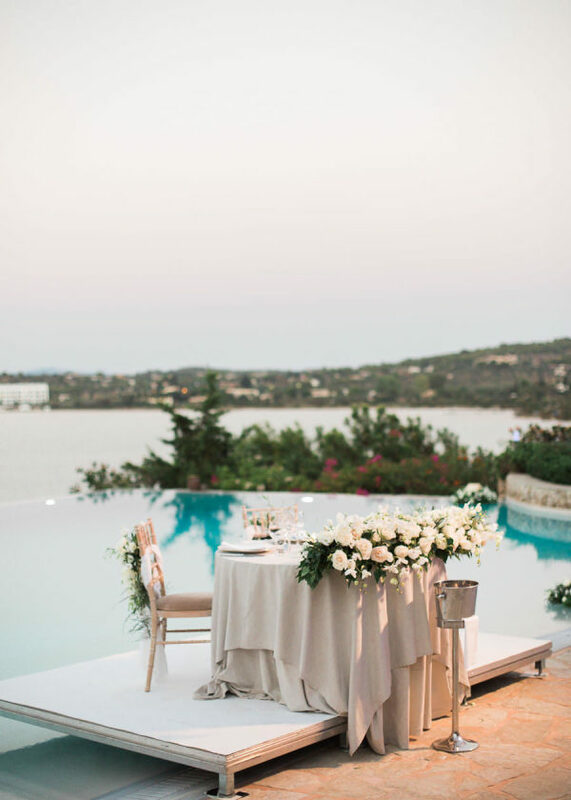 On a private beach with the the most breathtaking views of Greece, Adrian Wood Photography captured all the romance for us. 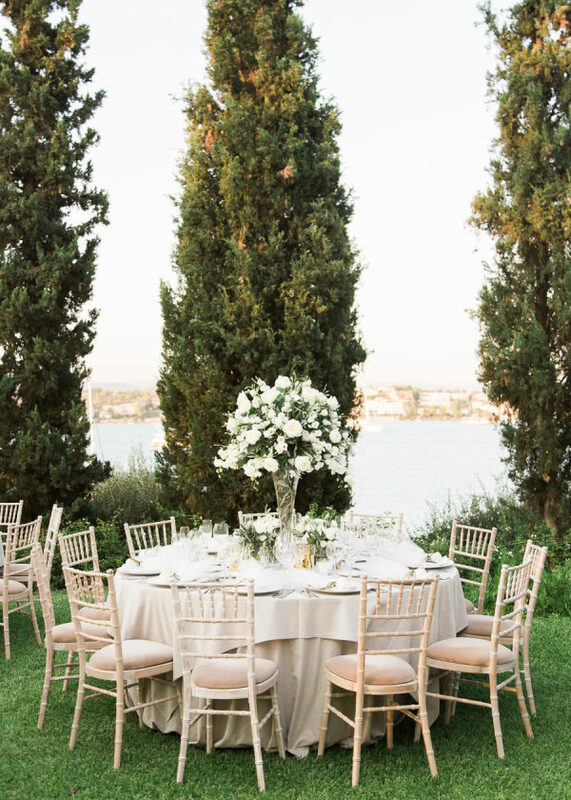 The beautiful garden landscape and luxury getaway details in Porto Cheli, Greece are too stunning for words, but we’re desperately wishing we were there! 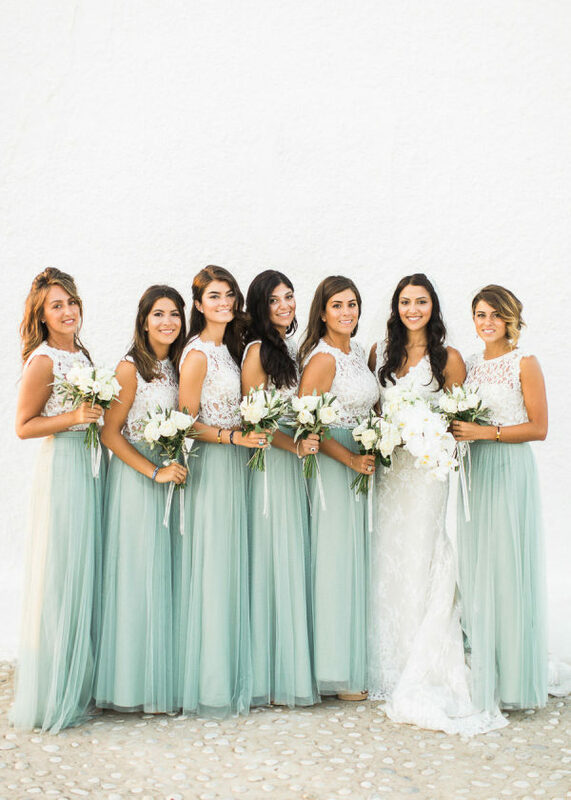 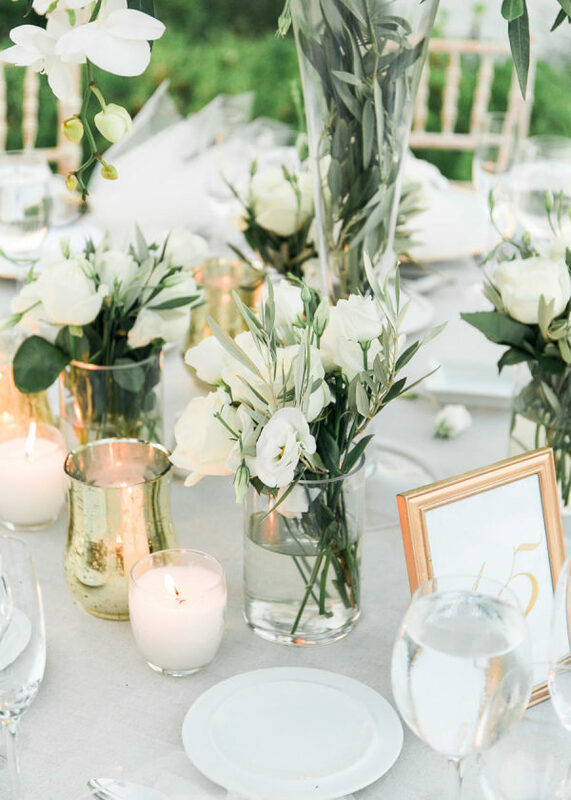 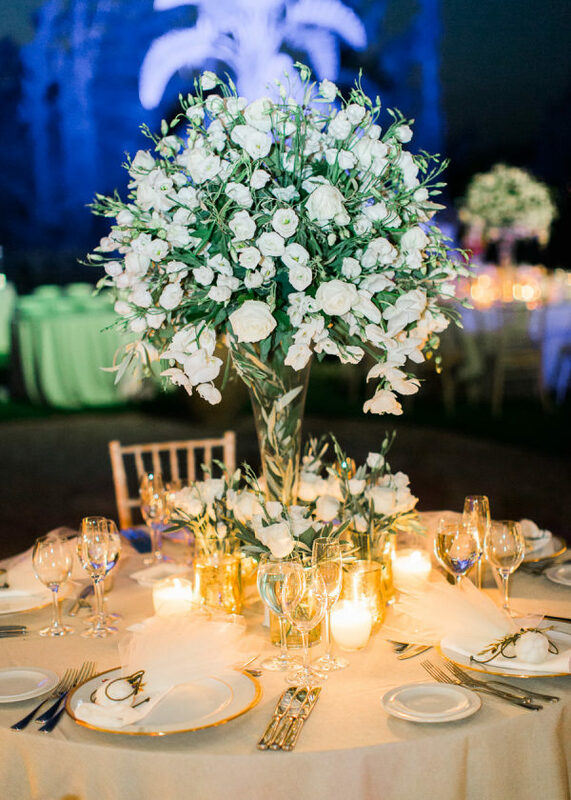 Seafoam green is the color of the day, starting with the bridesmaids in elegant two-toned gowns and ending with lush green and white centerpieces created by Mood Effects. 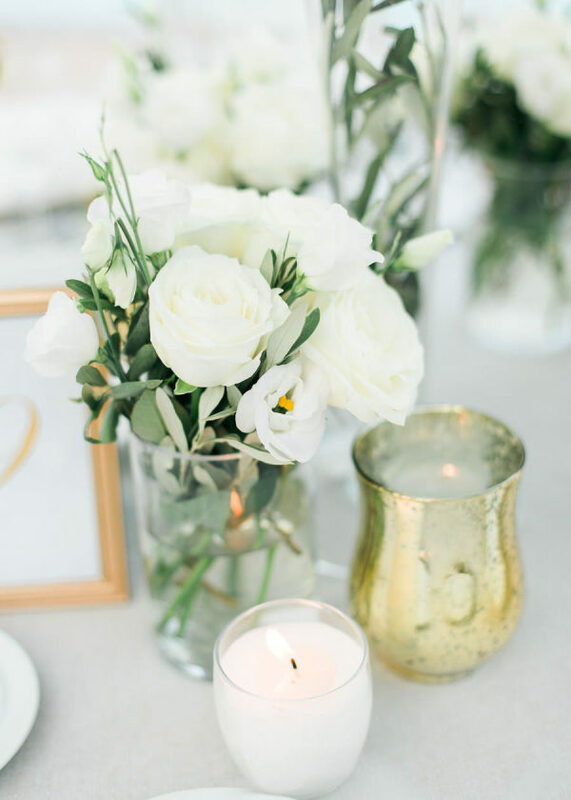 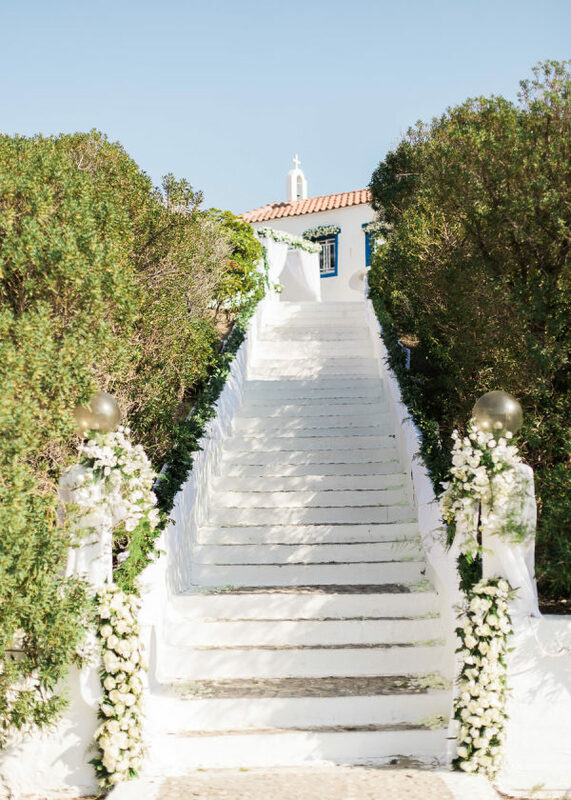 The candles on the entrance staircase, the white ceremony draping and the sophisticated table decor — everything is perfect! 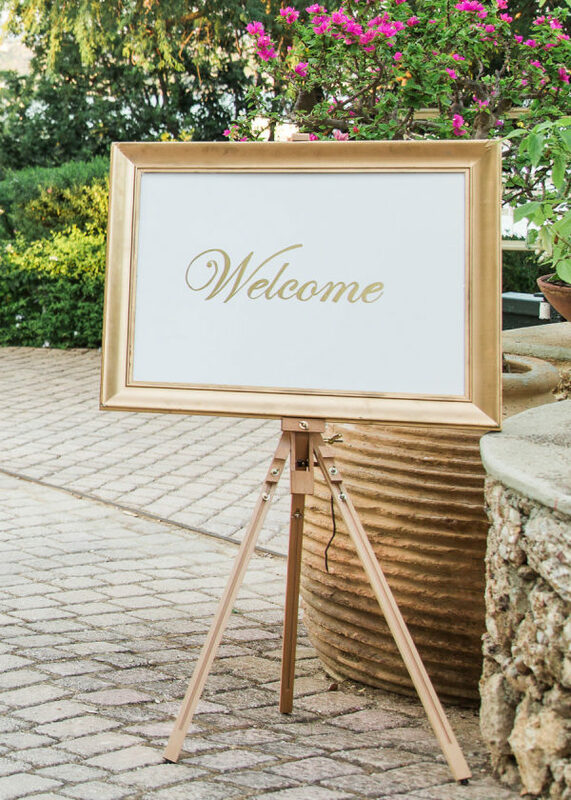 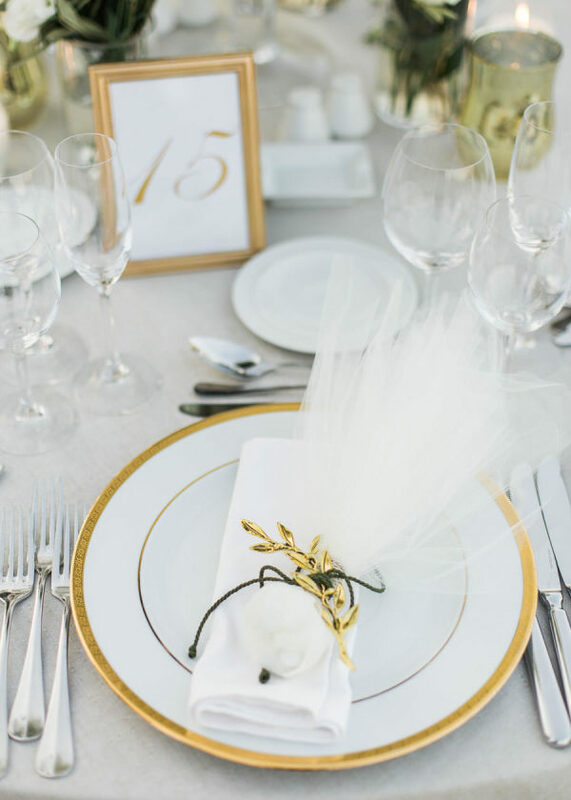 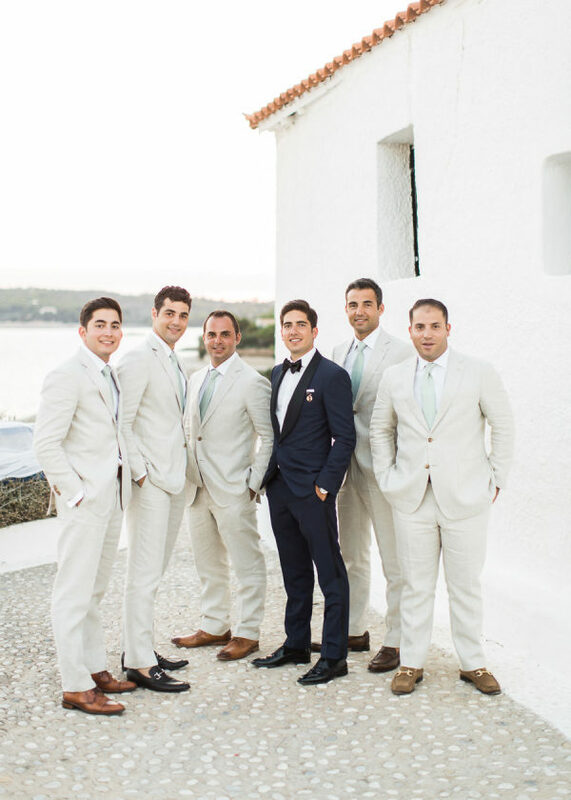 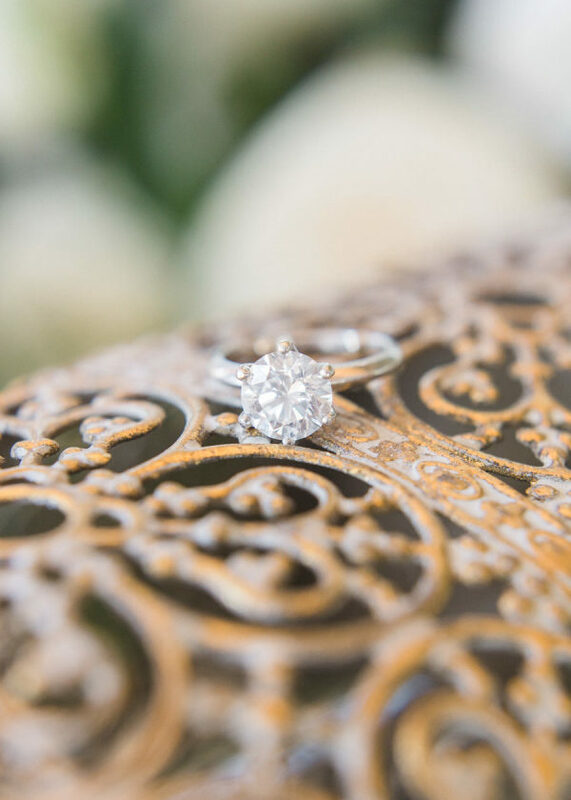 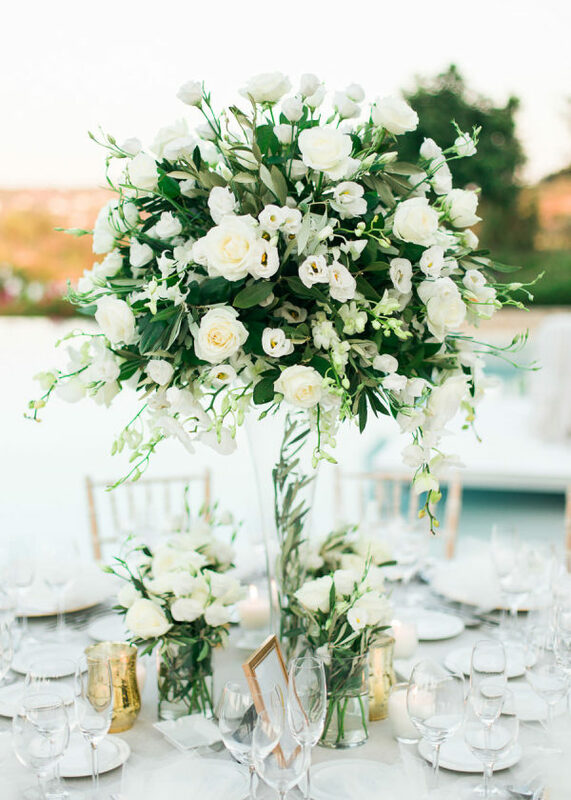 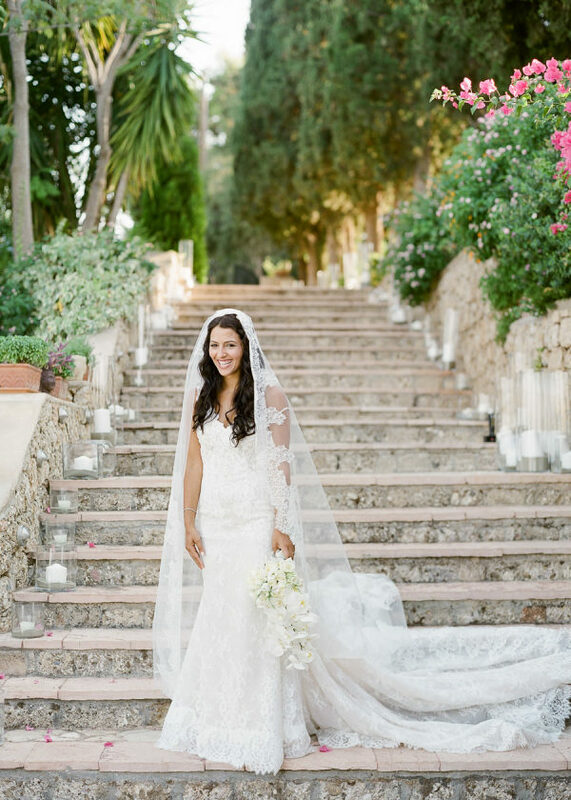 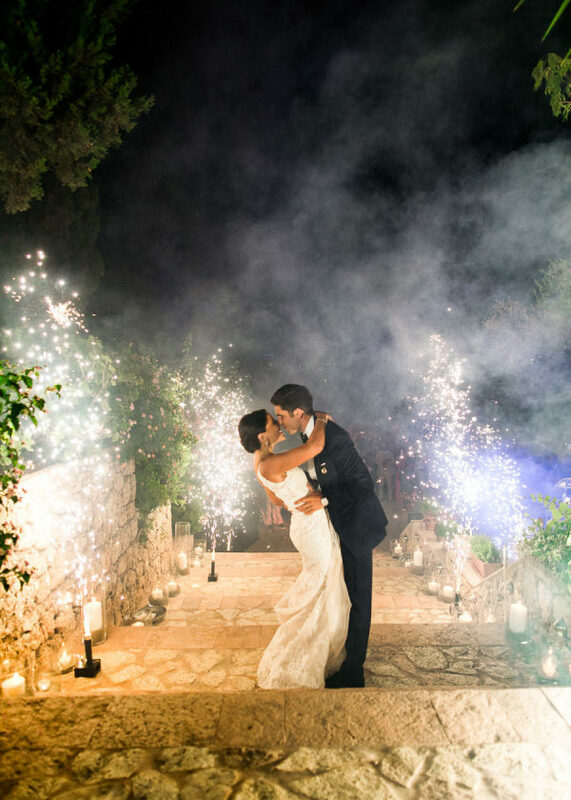 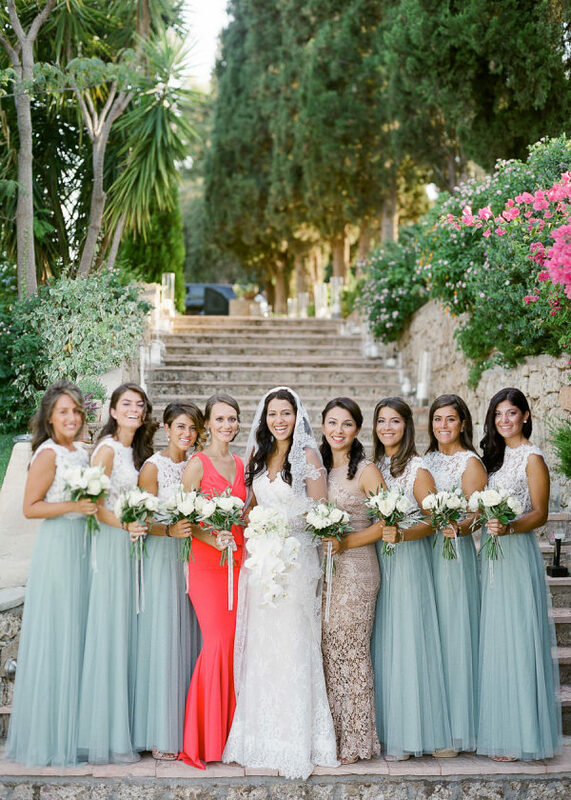 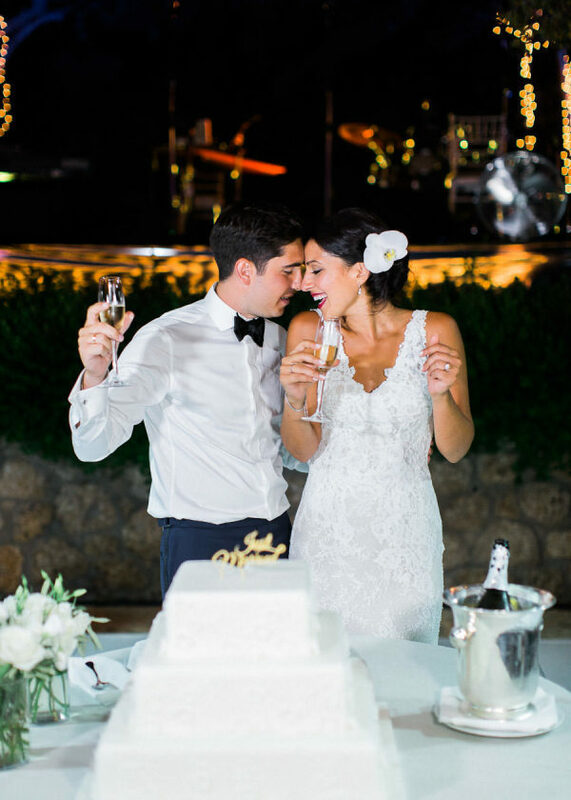 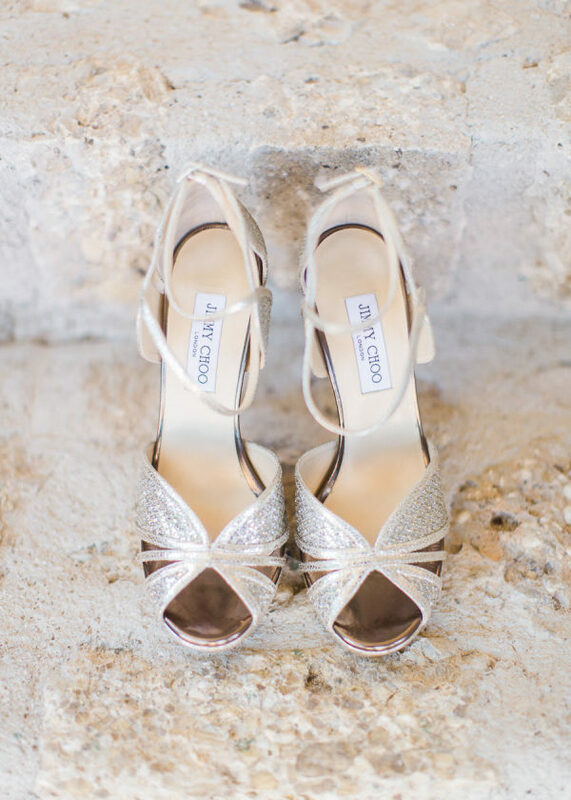 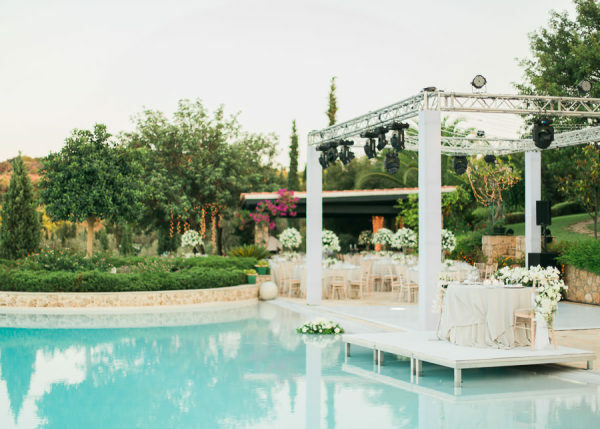 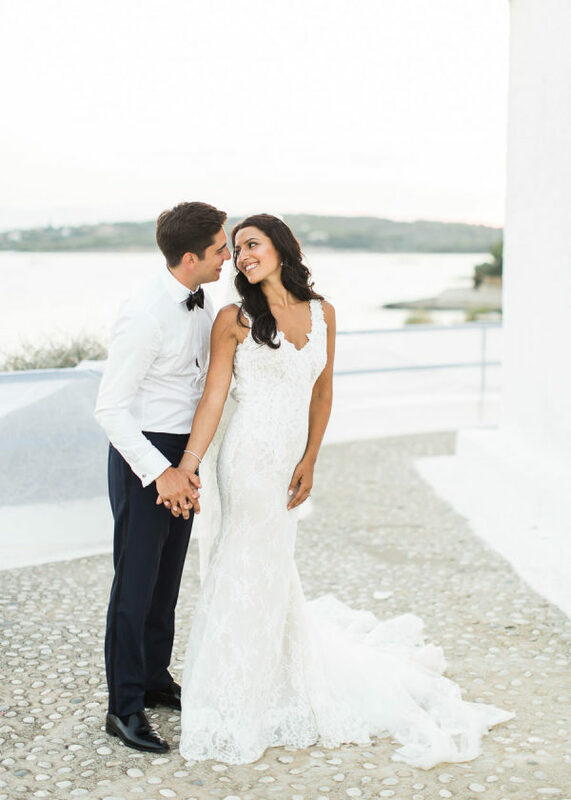 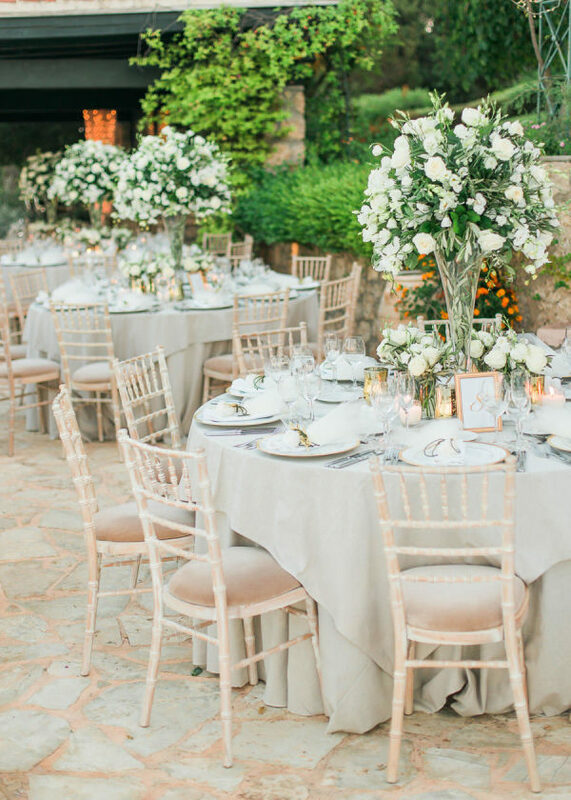 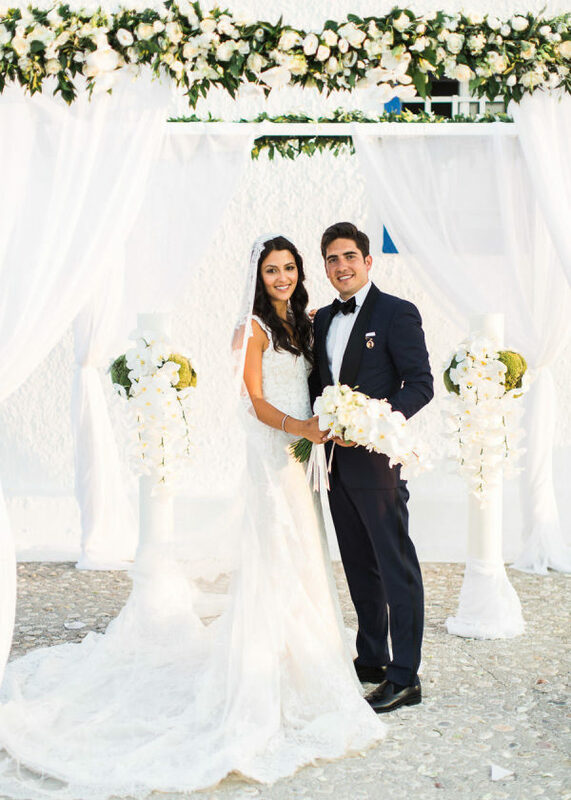 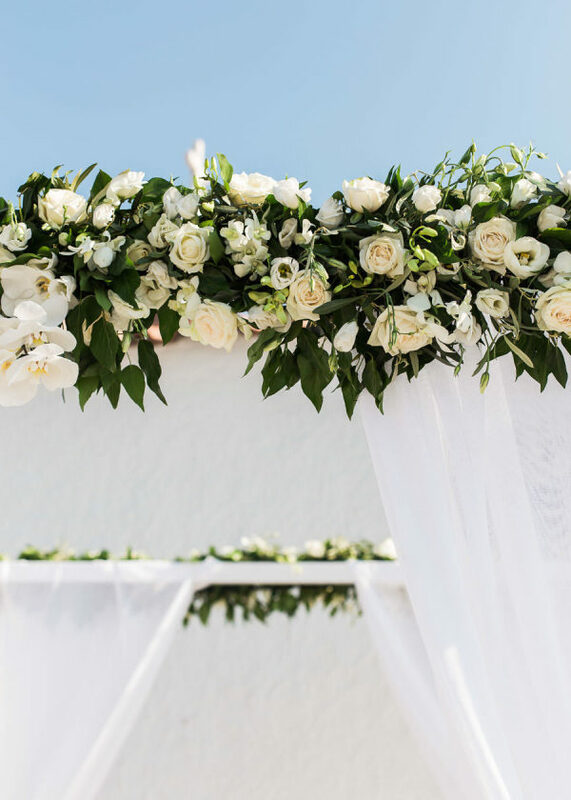 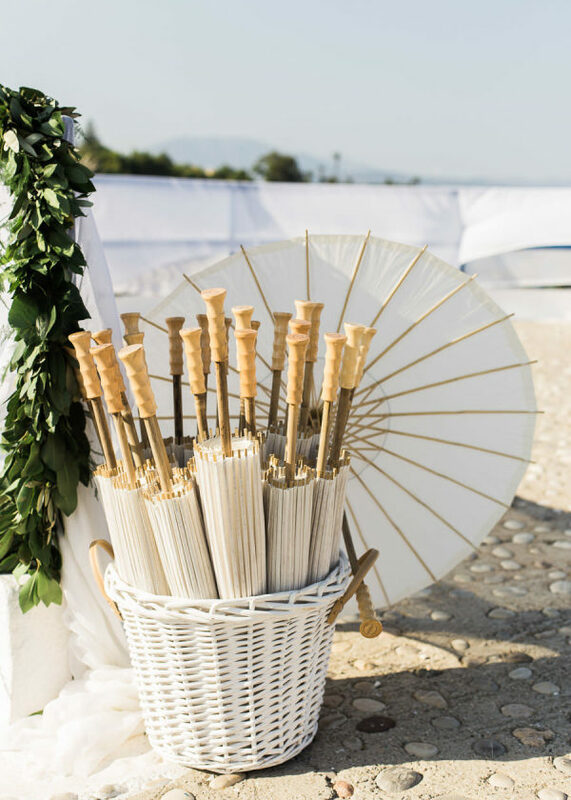 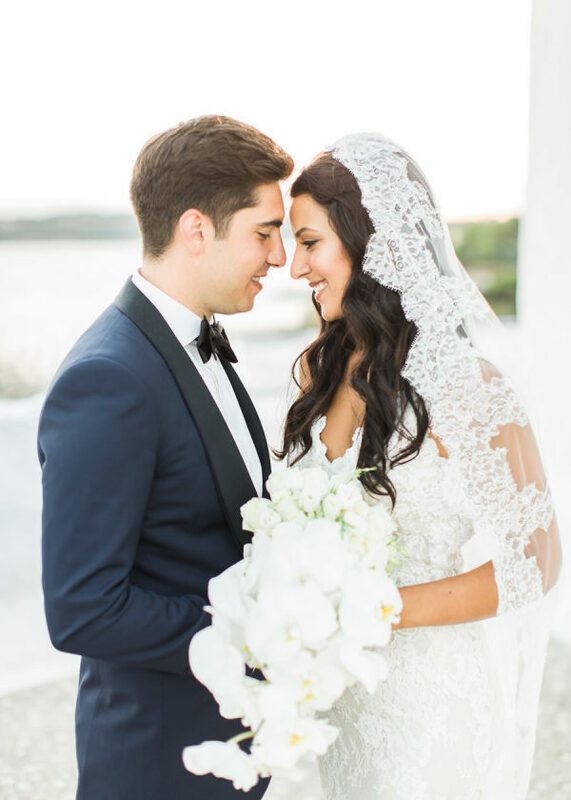 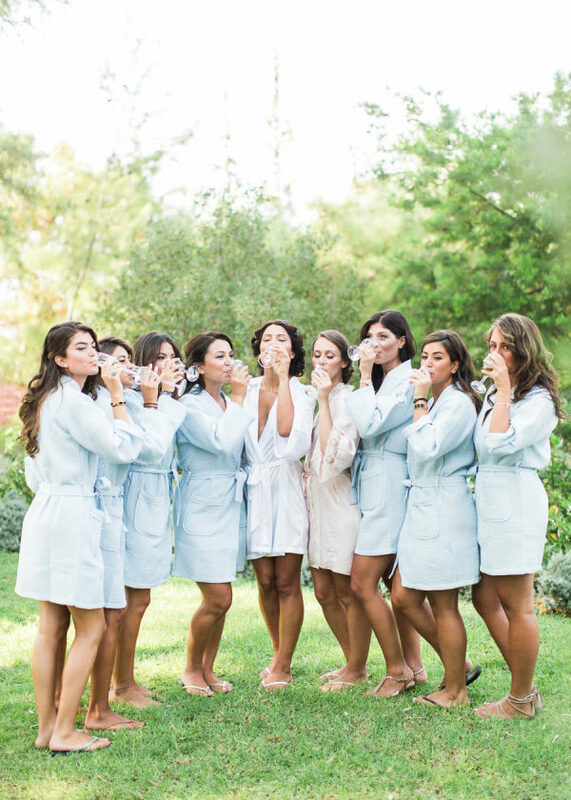 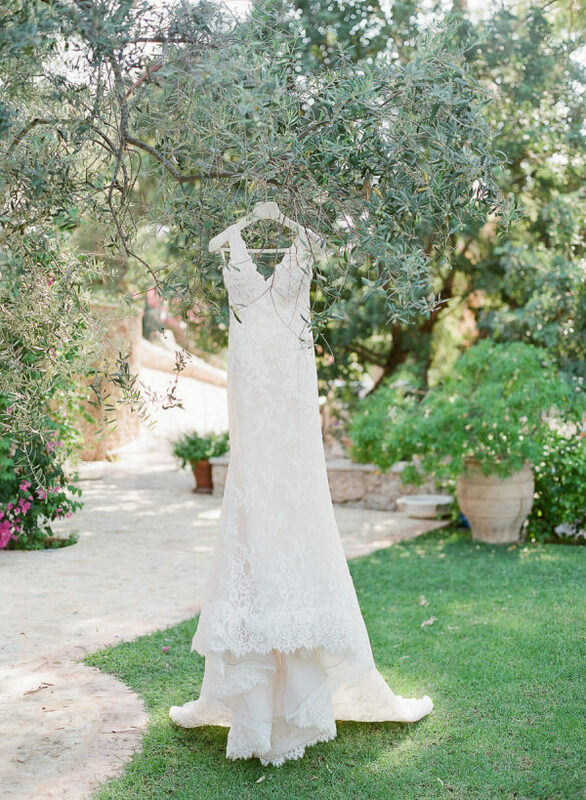 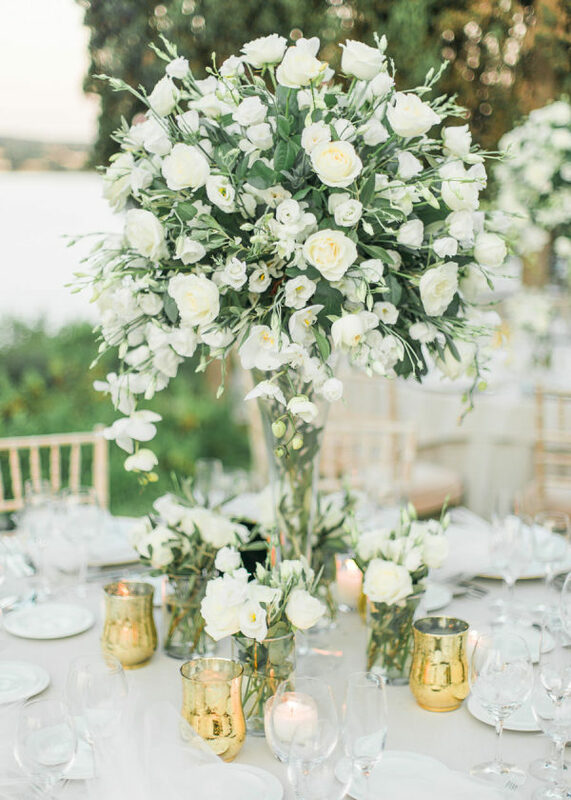 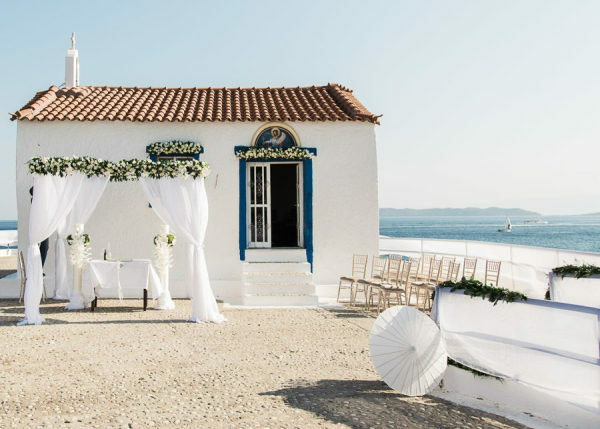 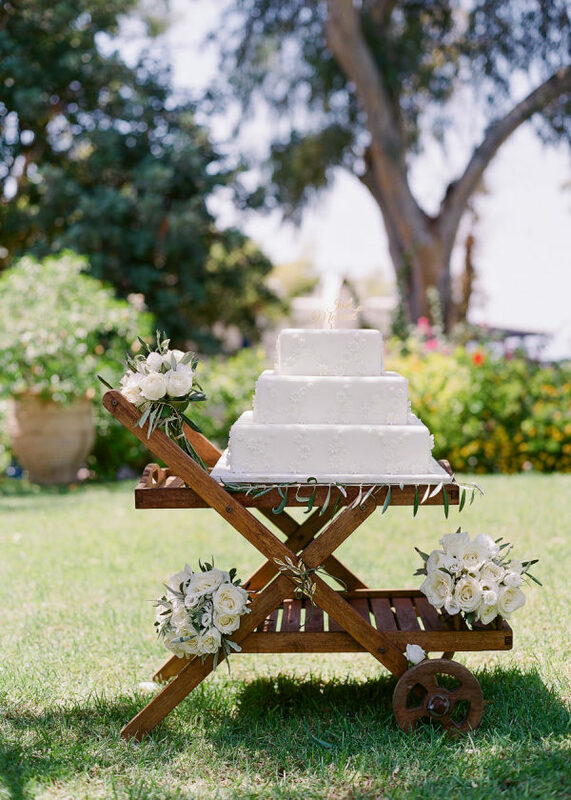 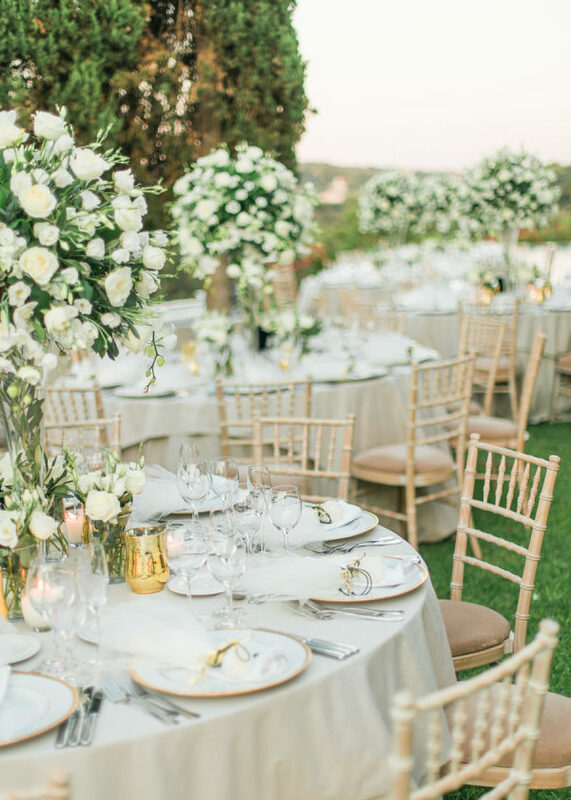 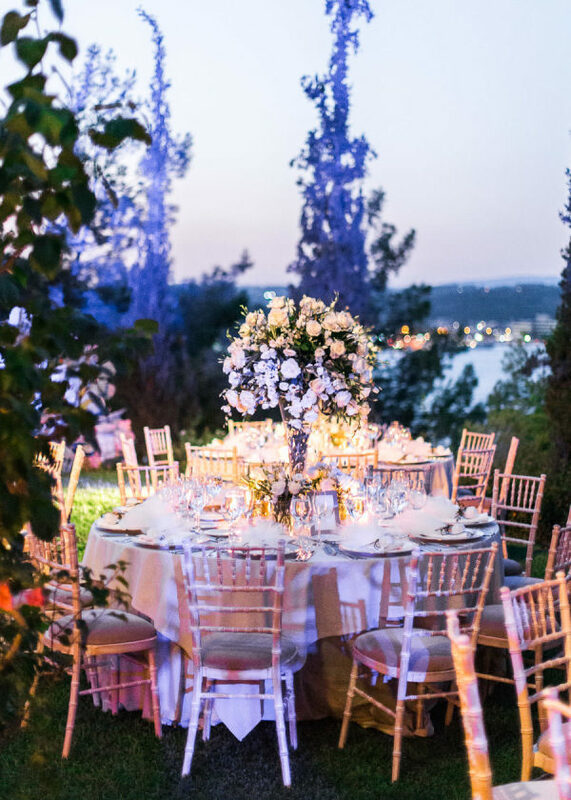 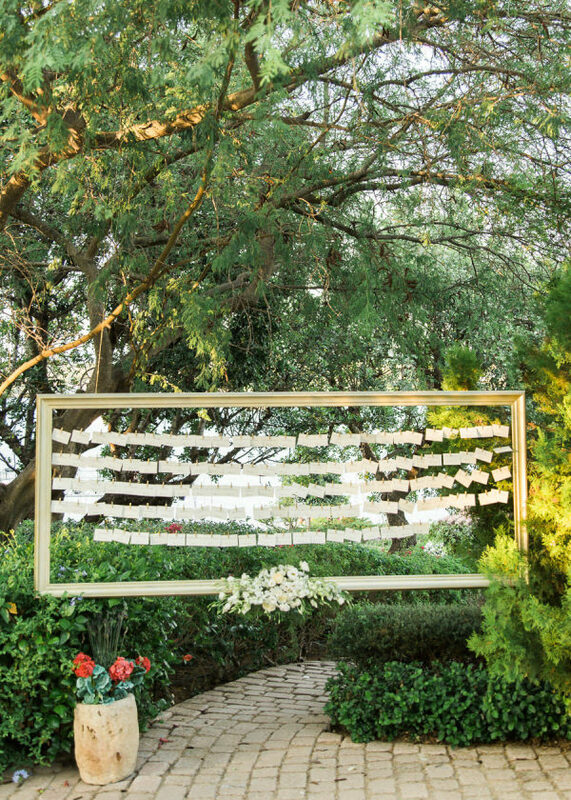 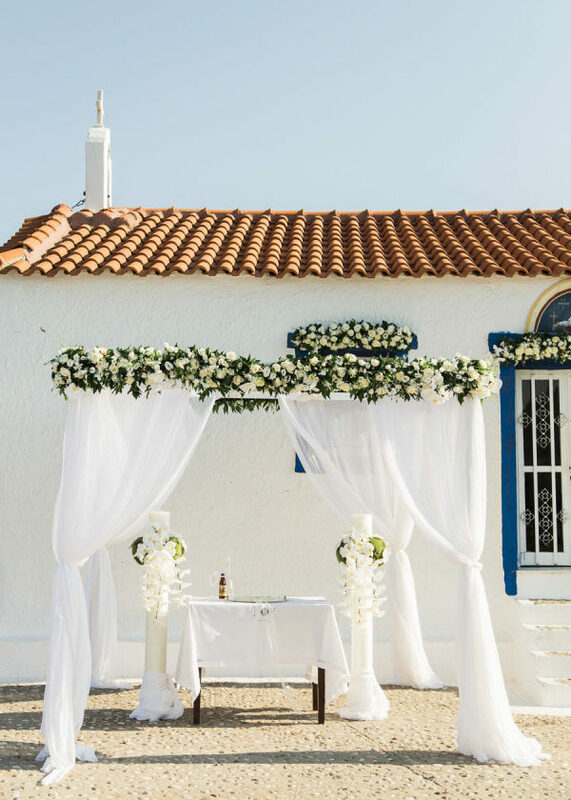 Come get inspired by this Greek destination wedding!